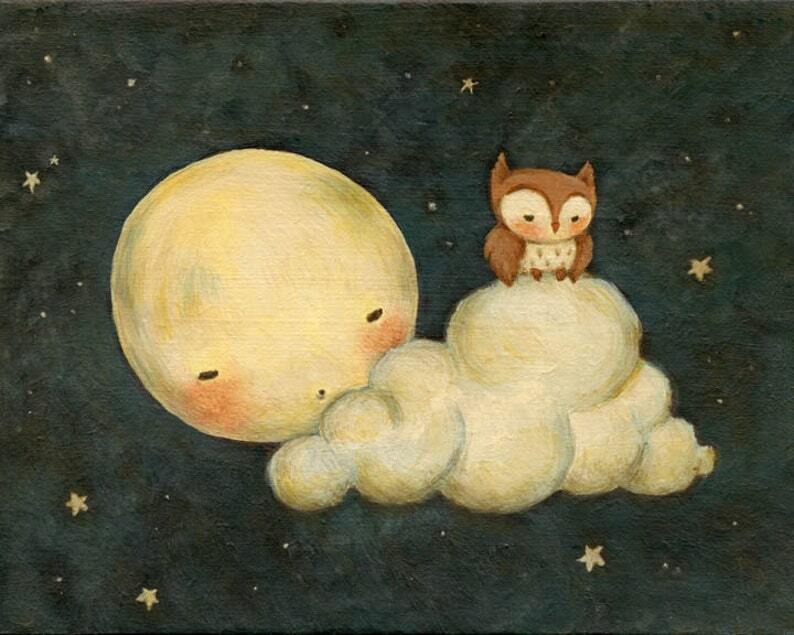 A baby owl and the Moon drift off to sleepy-time...Sweet dreams, little ones! Babies and young children, owl lovers of all ages, nurseries and children's rooms, vintage inspired playrooms, and for any room you want to add a whimsical, playful touch to. This borderless print is reproduced from a painting by me. It is available in both 7x5 or 8x6 inch., and will feel right at home in any standard 7x5 or 8x6 inch frame or matte.